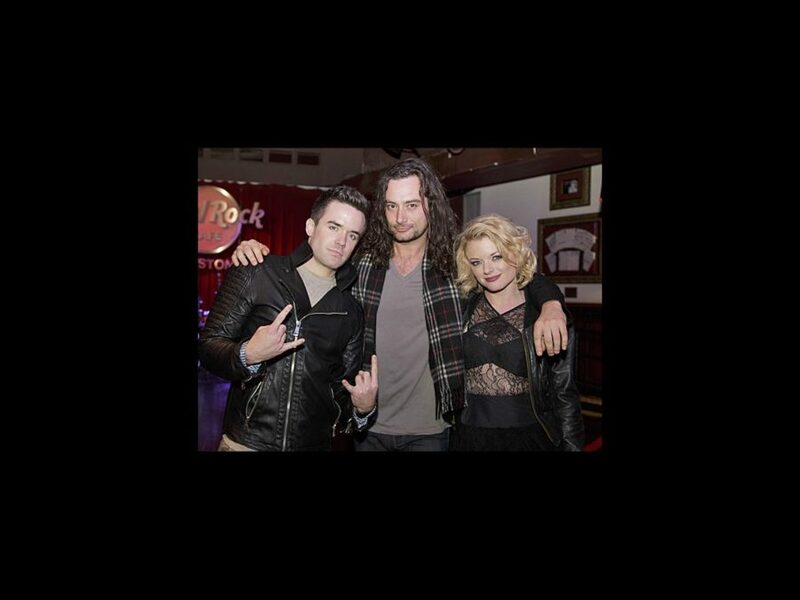 Constantine Maroulis, who was nominated for a Tony nomination for Rock of Ages, couldn’t pass up a chance to see We Will Rock You in Boston. The national tour of the Queen musical, currently playing the Boston Opera House through November 10, celebrated its opening night at the Hard Rock Cafe on November 6, where the American Idol alum dropped by to congratulate the cast. In this Hot Shot by Seacia Pavao Photography, Maroulis puts his arms around the show’s lead rockers Brian Justin Crum and Ruby Lewis for a celebratory moment. No doubt Maroulis enjoyed the cast’s renditions of Queen favorites “We Are the Champions,” “Somebody to Love” and “Another One Bites the Dust.” Get your tickets today and hear the hits for yourself!